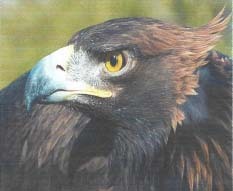 The Arizona Raptor Center uses falconers and falconry techniques to aid in the recovery of sick and injured birds of prey, and to increase the probability of a successful release. We handle raptors in the ways of the traditional falconer and utilize techniques that have been honed over the 3000 plus year history of falconry. Working with experts in the fields of both falconry and avian medicine, we strive to minimize their stay in captivity, we work to ensure muscle mass is maintained or rebuilt, and if necessary, we fly some birds prior to their release to ensure their physical condition and hunting skills are adequate for return to the wild. We need your help! Medical procedures, food, housing, and quality education programs cost a lot of money. Come and show your support on Aug. 25, at:Tractor Supply Company, 34350 N. Cave Creek Road; Building A., Cave Creek. From 9:00AM to 2:00PM the Arizona Raptor Center will be having a raptor show to help raise fund to support education and rehabilitation. Come see birds of prey from 4 continents and learn how these birds are an integral part of our eco-system, why we need birds of prey, what to do if you find a bird or prey and much more. In addition to rehabilitating raptors, we have created a unique program to help educate the conservation-minded public. We reach out to the community with quality education programs, showing them how birds of prey are important to the environment and the existence of all creatures on this earth, and how a well-balanced eco-system is the solution. We assist the public in their understanding of how to co-exist with wild raptors in urban, suburban, and rural settings.